Crimean collaborator explained his decision by the state of health and the need to focus on "parliamentary activity"
The Crimean collaborator Remzi Ilyasov leaves the post of head of the pro-Russian Interregional public movement Kyrym, according to the information on his Facebook page. Ilyasov explained this decision by his state of health and the need to focus on "parliamentary activities." Ilyasov recommended the members of the organization to appoint Fevzi Kubedinov, the Chairman of the Adalat party, to his position. In his recent video message, Ilyasov said that his organization "did not sign the memorandum with the Council of Crimean Tatars under the head of the Republic of Crimea." It should be noted that the Kyrym movement called upon the UN to recognize the annexation of Crimea by Russia as legitimate. July 23 Remzi Ilyasov resigned from the post of "Vice-Speaker of the Parliament of Crimea." Then he did not explain the reasons for his decision. 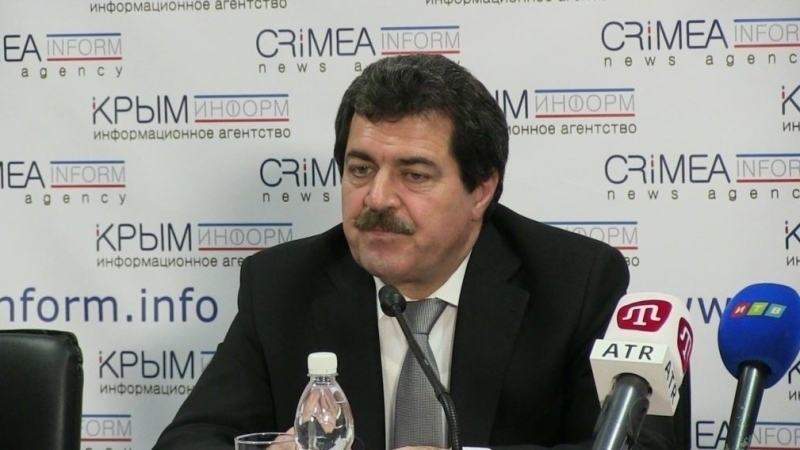 Earlier, QHA reported that the so-called "Deputy Prime Minister of Crimea" Vitaly Nakhlupin was detained in Moscow. The “official” was arrested for two months. Along with Nakhlupin, the “ex-Deputy Minister of transport” of Crimea Valentin Dukorsky and the former Deputy Head of the Committee of Competition Policy of Crimea Yaroslav Slivku were arrested. All of them were accused of taking bribes on a large scale.